One of the most eagerly anticipated semi-final in the WBSS format. But can it match the crusierweights? The World Boxing Super Series (WBSS) has been a huge success and has given the sport a face lift. Not only have the fights been entertaining and evenly contested but the format could well be the future of boxing. When the competition was announced most boxing fans were excited by the super-middleweights rather than the cruiserweights but it has been the latter that have produced the goods. Both semi-finals were fantastic with Oleksandr Usyk (14-0, 11KOs) defeating Mairis Briedis (23-1, 18KOs) by a unanimous decision a few weeks ago and Murat Gassiev (26-0-1, 19KOs) stopping Yunier Dorticos (22-1, 21KOs) in the twelfth and final round a week later. This weekend the super-middleweights will attempt to match the cruisers when George Groves (27-3, 20KOs) takes on Chris Eubank Jr (26-1, 20KOs) at the Manchester Arena in England. This will be followed by the only undefeated super-middle left in the competition Callum Smith (23-0, 17KOs) who travels to Arena Nürnberger Versicherung in Germany for a tough challenge against veteran Jürgen Brähmer (49-3, 35KOs) next Weekend. The fight that has really captured the imagination of the British public is Groves verses Eubank Jr. When the draft gala took place on July 8, 2017 in Monte Carlo, this semi-final was considered to be the most eagerly anticipated. With the fight only a few days away here is my breakdown of both fighters and my final predictions. Brighton-based Eubank Jr has been a professional for just over six years and in that time he has fought 24 fights at middleweight and 3 at super-middle, totalling 157 rounds with a knockout ratio of 74%. All of his opponents have a combined record of 426-154-26. In my opinion the 28-year old was overmatched before his only loss to Billy Joe Saunders in 2014. Although the likes of Ivan Jukic, Stephen Horvath and Robert Swierzbinski may have had records that looked decent on paper they were just Europeans with padded records. 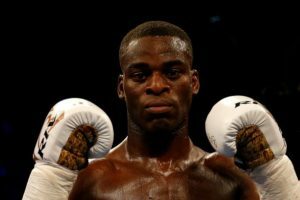 I believe his biggest test before that loss to Saunders was against tough journeymen Bradley Pryce and Ruslans Pojonisevs, who both went the eight round distance with Eubank giving him valuable experience. After missing out on the WBO middleweight title his opponents definitely improved. There were two TKO victories over Dmitri Chudinov and Tony Jeter before Gary Sullivan retied in his corner on the Joshua-Whyte undercard. 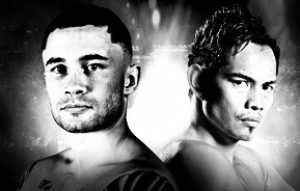 The well documented victory over Nick Blackwell followed before a last stint as middleweight against Tom Duran. Before the jump to super-middleweight there was a potential showdown with Gennady Golovkin being rumoured but this never materialised due to the lost-pen-gate. In the end Eubank defeated Renold Quinlan in ten rounds to capture the IBO title. In the summer of 2017, Eubank Jr was ordered to fight Arthur Abraham with the winner taking his place in the WBSS. In Eubank Jr’s most impressive performance he won by unanimous decision and cemented his place in the 8-man bracket tournament. In the draft picks, it was Chris Eubank Sr that chose undefeated Avni Yildrim for the quarter-final match-up but the Brit had too much power when he sent the Turkish fighter to sleep in two rounds in one of the highlight reel knockouts of the year. The 29-year old has had 30 fights at super-middleweight, fought a total of 186 rounds and has a 69% knockout ratio since his professional debut in 2008. His opponents have a combined record of 523-143-22. Before the James DeGale fight in 2011, Groves defended his commonwealth title against Kenny Anderson winning by TKO who was undefeated at the time. Then only at 12-0 he won a majority decision in a close fight against 10-0 at the time DeGale. 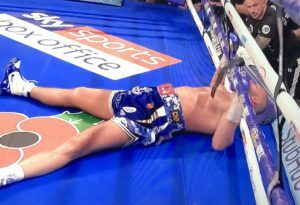 Groves continued to challenge himself when he stopped the durable Paul Smith in only two rounds before beating another tough opponent in Glen Johnson by UD. The Hammersmith-based fighter then won a title eliminator against Noe Gonzalez Alcoba on the undercard of Froch-Kessler 2 to set up the first fight with the Cobra. After a beautifully timed right hand counter Groves laid Froch out in the first round but after nine rounds referee Howard Foster stopped the fight prematurely in Froch’s favour with Groves ahead on all three judges’ scorecards. The second bout was a complete shut out with Froch winning by KO in the eighth at Wembley stadium. Groves defeated Christopher Rebrasse by UD before his third shot at a World title against another top level opponent Badou Jack. Unfortunately it was not to be as Jack won by a split decision. Next up was Martin Murray but Groves was too big and too strong for the St Helen’s man. At the fourth attempt the Londoner finally captured the WBA world title against Fedor Chudinov with a sixth round stoppage. Groves picked and beat another undefeated fighter in Jamie Cox in the quarter-final of the WBSS to set up this mouth-watering semi against Eubank Jr.
George Groves is half an inch taller at 5’11’’ ½ but Eubank Jr has the slightly longer reach by half an inch at 72½’’. To be honest this will not make a difference, if anything Groves will have the reach advantage because of the way he throws his jab. The Saint is a big super-middleweight that has fought the very best in his division with only one clear defeat against Carl Froch in the second fight. Eubank Jr on the other hand has only fought three times at this weight and is a small super-middle. Granted he defeated a top level fighter in Arthur Abraham but the German is clearly on the downslide. I can see Groves popping off that jab and connecting at will for the first part of the fight with Eubank Jr throwing combinations in bursts. I don’t think Eubank would have ever felt power like Groves’ which may influence the slightly younger fighter to back off which could cause him a lot of problems. The corners could play a big part in the fight which could work in Groves’ favour. Eubank Jr can be very obnoxious towards his trainer Ronnie Davies which could harm his chances whereas Groves and Shane McGuigan do seem to have a better rapport which for me give them the edge. If Eubank Jr can be in the fight come the middle rounds then he could well be in a position go on and win. It is well documented that Groves struggles in the latter stages of fights and Eubank Jr has proved he does have a decent gas tank. The game plan for the Eubank’s should be to fight on the outside with combination flurries working the head and body while keeping away from that jab, with the intention of taking Groves into the championship rounds. Groves on the other hand will need to keep connecting with his jab and throw those unpredictable shots from the waist in hope of establishing a healthy lead early on. Once in the championship rounds he should attempt to go for the stoppage but he needs to be careful not to exert too much energy. Due to his experience and size I am going for a George Groves to edge a majority decision but it would not surprise me if ‘The Saint’ stops Eubank Jr.
2017 VS 1997 – What year was better? Will Usyk be the Real Deal at Heavyweight?